The 27th annual Chocolate Extravaganza was held on Saturday, Feb. 9 at the Coshocton County Career Center. 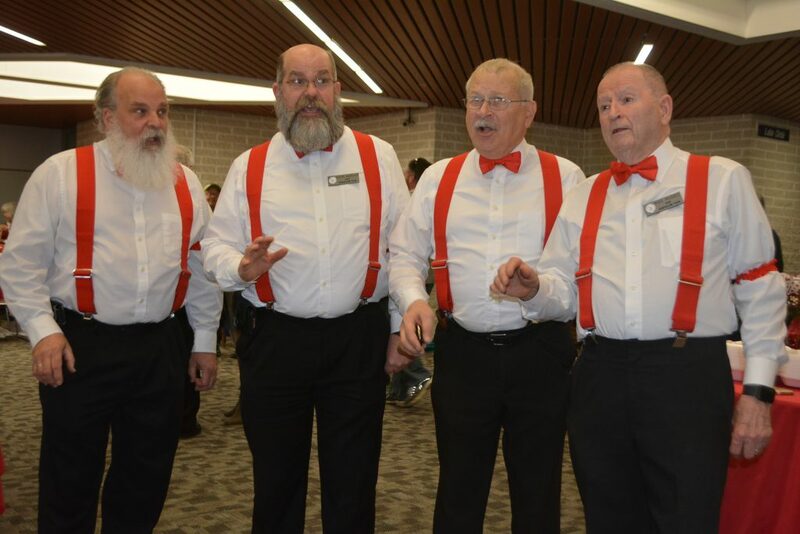 This year, entertainment was provided by the Acafellow Four which consists of Mark Rhodes, Stephen Bentley, Keith Ebright, and Mike Morris. COSHOCTON – The sweet smell of chocolate permeated the Coshocton County Career Center on Saturday, Feb. 9 during the 27th annual Chocolate Extravaganza. Tables covered with cakes, cookies, candies, and other sweet desserts filled the cafeteria and chocolate lovers were lined up outside of the building before the opening, ready to claim their favorite desserts. The Chocolate Extravaganza is a tradition for many in the community. Steve and Jackie Martin came to the first Chocolate Extravaganza when it was held at the Pomerene Center for the Arts in 1991 shortly after they moved back to Coshocton. Jackie grew up in Coshocton and Steve was from Cincinnati. When they married, the couple lived in Cincinnati for a while, then moved to Oklahoma before finally moving back to Coshocton. The couple now brings their teenagers to the event every year. Our Town Coshocton was involved at the event for the first time this year with Valentine’s for old, vacant, historical buildings in Coshocton. Each heart was lovingly decorated with a heart-felt message and placed in a bag corresponding with what building people loved the most. Buildings featured included the Selby Building, the Pomerene Center, O’Neil’s and IOOF Hall, Carnegie Library, Frew’s Building, Rodgers Block and Elks Lodge, Chacos Brothers Building, the Mizer Sanitarium, and the Sixth Street Row Houses. Each year, the Chocolate Extravaganza raises money for the general upkeep of the Pomerene Center for the Arts. Funds also go to staff salaries. Any funds that remain are used for projects around the center. 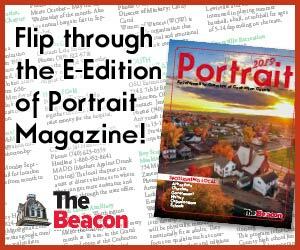 I have been employed at the Coshocton County Beacon since September 2009 as a news reporter and assistant graphic artist. I am a 2004 graduate of Newcomerstown High School and a 2008 graduate of Capital University with a bachelor’s degree in Professional Writing. I am married to John Scott and live in Newcomerstown. We have two beautiful daughters, Amelia Grace Scott and Leanna Rose Scott.